interval training classes with focus on hill climbing and skills. Looking to improve your riding in a fun yet challenging environment? LOOK NO FURTHER. *Note: If you are still learning to clip in, a 1st time rider in, or have no experience riding on the road, or riding bikes in general then we suggest arranging private sessions with one of our coaches before signing up to our group classes. Start Locations: Included in weekly emails!! Drop Ins: No drop in options for weekend packages. Special Notes: *We have priced our 9 packs so that if you can only make 7 or 8 of nine classes it's still cheaper than a 6 pack (per class). *Our program is progressive, the more training you commit to the better your results. *You must complete your package within it's package dates, there are no carry over or credits for unused classes so please purchase appropriately. Packages do not include applicable 5% GST. *If you can’t make the above dates but still wish to participate we are attempting to accommodate riders in this scenario by putting together private evening classes to complete these items above. If this is you then sign up to the ‘interest list’ below and describe your situation and which dates you’ll need to miss. If you meet the pre-requisites and are ready to commit then please fill out ALL fields below and we’ll be in touch with your registration confirmation. In case class is cancelled we need the best number to reach you on. Only sign up here if you are ready to commit to the program!! 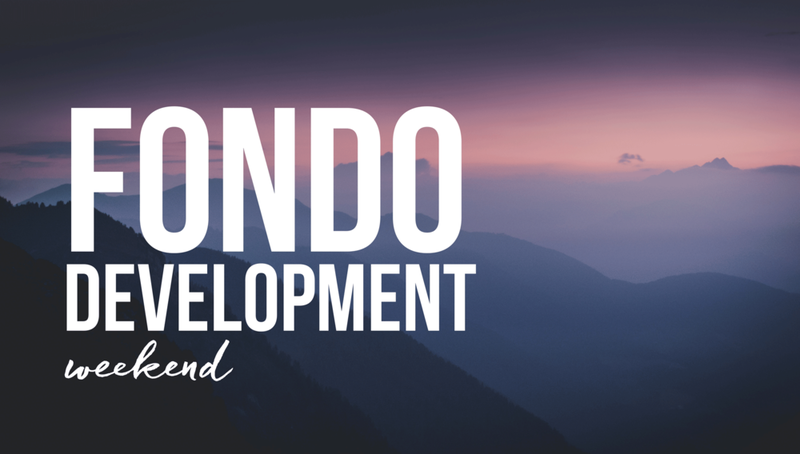 This will subscribe you to receive weekly rider information specifically for the Fondo Development Weekend group including meeting spots, workouts and routes.